Labour Party governorship candidate in Kwara State, Comrade Issa Aremu mni has thrown his weight behind the re-election of President Muhammadu Buhari, even as over 1.3 million members of state chapter of the Nigeria Union of Tailors (NUT) and faith based organizations pledged to cast their votes for him and President Buhari during the forthcoming general elections. He formally made this known at a press conference in Ilorin attended by my mass members of Kwara Labour Party. Also drummed support for Comrade Aremu is a conglomeration of sports men and women in the state who received Comrade Aremu and his campaign team in their respective arena earlier on Saturday during an intensive keep fit sports-sports campaign tours at the Kwara state stadium complex, Ilorin. Comrade Issa Aremu declared his support for President Buhari on Saturday while addressing members of Nigeria Union of Tailors (NUT) in kwara state at the association's secretariat, Olorunshogo, area, Ilorin, the Kwara state capital. The labour party governorship hopeful who was given a rousing welcome and warm reception by mammoth crowd of NUT members across the 16 local government areas of the state at their secretariat, thanked the members of the NUT for the honour and for believing in the philosophy of Labour Party. Aremu who is the General Secretary of the National Union of Textile, Garment and Tailoring Workers of Nigeria (NUTGTWN), urged on hundreds of thousands of the tailors in the state to vote for President Buhari who he said through “labour market friendly policies” such as the new minimum wage, bail out for wage-defaulting governors epitomized what he called Labour Party manifesto on good governance. “Certainly President Buhari has been widely endorsed on account of his integrity and frontal fight against corruption. Ours is a practical appreciation, solidarity and support with the President who despite opposition by some governors remained steadfast in setting up the tripartite minimum wage committee, in respecting the outcome of negotiated N30,000 and who kindly thought outside the box to give bail out to the governors who claimed inability to pay salaries” Comrade Aremu said. Aremu has told the enthusiastic mass of the state tailors that the Labour party was formed in 2004 to compliment the efforts of NLC in protecting the interest of workers through political engagement and good governance adding that Adams Oshiomhole led government in Edo state and Olusegun Mimiko LP two term government in Ondo shows the positive impact of Labour Party in governance. He assured the association of tailors of his plans to establish a School of tailors in the state, adding that tailors and other related artisans in the state will be part of his cabinet when elected as governor of the state during the March 2nd governorship election in the state. 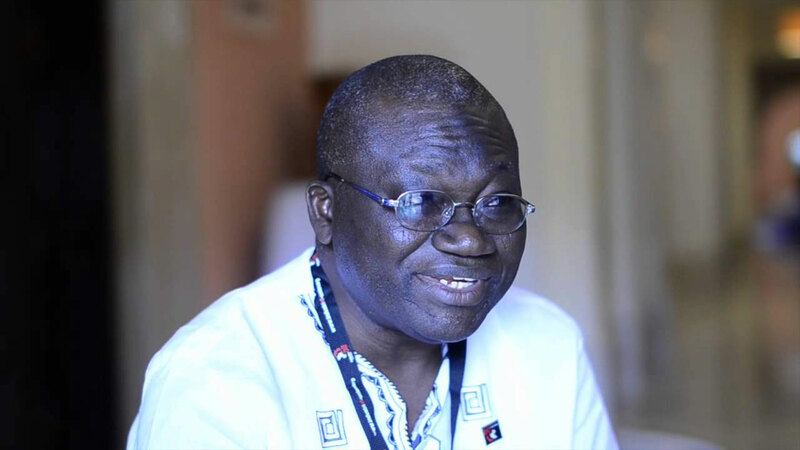 While reeling off his party's 5-Point agenda, Comrade Aremu said more industries will be established while a lot of youth will be gainfully employed which he said will automatically eradicate insecurity and youth restiveness in the state. Speaking during the well attended interaction with Comrade Aremu, the President of Nigeria Union of Tailors, kwara state chapter, Alhaji Abdulazeez Ayinla Ojo endorsed the candidacy of Comrade Aremu who he said he is running on the platform of the Labour party that has the interest of workers and artisans at heart. Ojo said NUT is an association with highest number of membership in the state, disclosing that those that duly registered with secretariat of the association alone are more than 1.3 millions. The President disclosed further that the registered male tailors alone in kwara state are over 500,000 in number while female tailors' population is not less than 800,000 across all the 16 local government areas of the state. Also speaking, the Vice President of the NUT, Mrs Elizabeth Animasahun JP said Comrade Aremu has been very supportive and helpful to them even before he dreamt of contesting for governorship position, and expressed optimism that their lives as women will be better if he gets to the government house as the next governor of kwara state. Earlier in the day, a group of sports men and women in the state had pledged to cast their block votes for Comrade Aremu, describing him as a unique and considerate leader who takes time to interface with electorate asks where shoe pinches every kwaran and those residents in the state. Among the team that received Comrade Aremu included various Football teams, lawn Tennis Club, Squash Club, Boxing Club, Dancing Club, Aerobic Fitness Club among others. The Coach Bunmi Aare in his remarks requested for basic structure and maintenance of the existing ones as well as provision of lawn tennis equipment, saying it is a pity that all structures have been there for the past 41 years. At Football team, Coach Muhammed Tosho appreciated comrade Aremu for finding time to come to stadium, saying that this is the first time a gubernatorial will come to them to show concern and identify with them, and pledged the readiness of his members to vote for him during next governorship election in the state. At Boxing club squad, Michael James, who is the Technical Officer and Coach confirmed that this is first time to receive gubernatorial candidate in their midst. Akinloye Taiwo, who is also another coach also said Comrade Aremu was a unique leader with good passion for sport and humanity in general, saying that he will be supported by his team with their votes. At Dancing group arena, Mr Benjamin Okatunbosun, the leader of the group, also expressed their unalloyed support while saying Aremu is a God sent candidate. Comrade Aremu used the forum to dance with the best dancer, Blessing Okoye and other members of the group. At Alimam Aerobic Fitness, Coach Imam Atolabi said comrade Aremu was not new to them but for coming to them now, has really shown to them that he is the government of the people in waiting and as such himself and all his team members will support him. At Football Field, Comrade Aremu also played football with Good Morning Star where he scored a penalty goal awarded to him by the Referee. He also played football with The Young Star Football Association where their coach, Abdulganiyu Elesinla welcomed the LP governorship candidate into their midst saying that this is the first time they will receive a candidate into their midst and urged Comrade Aremu not to forget them when he gets into the power. Also at Wega Aerobic Exercise Comrade Aremu had fitness exercise with them while Coach Ahmed Olayinka described Comrade Aremu as the choice of people for the 2019 governorship in kwara state. Muhibudeen Ismail of Harmony Boys Football association also pledged their support and requested for Jessy, football kits among others, a request that granted approval by the LP governorship candidate. The story was the same at Squash Court where Comrade Aremu played with them and the team leader, Bili Magaji introduced a good number of squash stars who have won gold, silvers and medals for kwara to Comrade Aremu. Magaji also introduced a 17 year old number 2 best squash in Nigeria as well as number 6 and number 10 best squash in the country. The coach said if we can be number 2,6,10 it means it is possible to produce number one in kwara, adding that it is possible if we sustain and maintain the structure that we have. "Interestingly, the number one squash in Nigeria Abdulrahaman is from kwara but won it under Lagos state column". He expressed hope that if comrade Aremu wins the election, it will help them to be where they are supposed to be, adding that they have confidence in him and his good vision for the state. In his response, comrade Aremu appreciated them for the warm reception, saying the old structure in place demonstrated the vision of our founding fathers such as George Hini, Bamigboye, Taiwo and others, pointing out that if the poorer kwara can do all these why the richer kwara cannot maintain and even do more. He used the forum to also launch his sports campaign team.